Russ Sharek has been described by reliable sources as a zen fool, benevolent supervillain, misanthropic community leader, clown father figure and Impish Cabaret Rasputin. 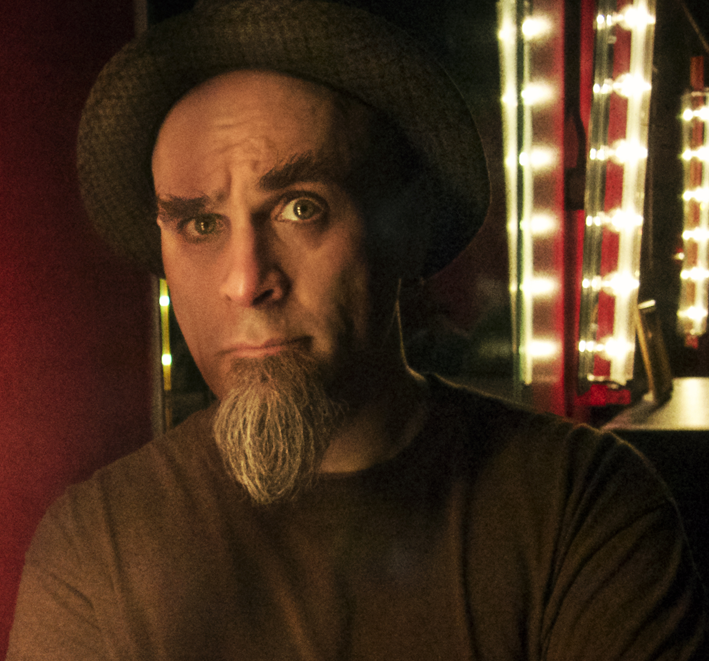 Mr. Sharek prides himself on being a life-long student in the world of theatrical clown, eccentric performance and variety entertainment. He has traveled around the world to study important things like pie throwing and human stupidity with living circus legends. His formal education includes spending time with impressive idiots from the New York Goofs, the Celebration Barn Theater, SpyMonkey, and the Why Not Institute. When not on tour, Russ splits his time between performing with the Circus Freaks, developing strange bits of physical theater, and teaching almost everything he knows through the Bath House Cultural Center and Soar Creative, LLC.